ESE was founded in 1971 in El Segundo, California. The co-founders' objective was two-fold; first to ESE's customers, "... to provide quality products, delivered on time along with excellent service" and also first to ESE's employees, "... to provide both a pleasant work environment and a stable company which can survive and grow as time marches on". These simple statements, written long before the now popular "Mission Statement," still guide us today. Our goal is quite clear - to take care of our customers and to take care of our employees. And as a result, ESE has experienced tremendous growth of our customer base, with our line of products and for our employees. ESE's initial line of products consisted primarily of Digital Clocks and Timers, Digital Multi-meters and Digital Frequency Counters. These were some of the first examples of what the "Digital Age" had to offer and just the beginning of ESE's current product families. Shortly after inception, ESE began devoting a large part of our R&D to the Broadcast Industry. As the Broadcast Industry grew, so did ESE. In 1975, we introduced our first Master Clock, the ES-160 (now the ES-160E). This unit used a proprietary time code (TC76) that has twice evolved (TC89 & TC90) and now has, in effect, become a standard in the industry. In the late 70's, ESE introduced an IRIG-B Time Code Reader, the ES-270. This product, marketed primarily to the Military, has given rise to two product "families" ("IRIG Time Code" Products and "Airborne/Ground Mobile" Products). Still marketed mainly to the military, these products have also been installed in commercial and private planes and have also gone into orbit on the Space Shuttle. A family of Distribution Amplifiers (DA's) was added to our line of products in the early 80's. This family now consists of nearly 20 different standard models, including Digital & Analog Video, Audio & Time Code DAs. The GPS (Global Positioning System) was declared to be at "Initial Operational Capability" in December of 1993. 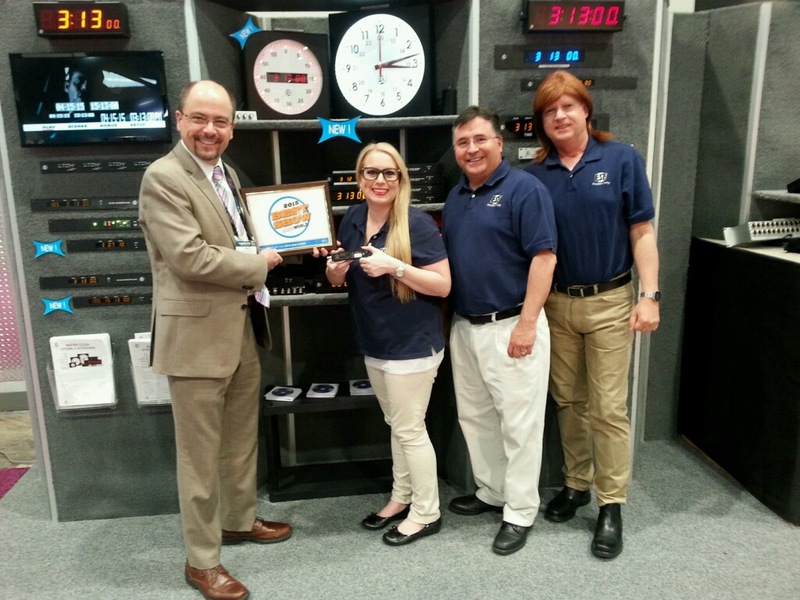 Four months later, at the NAB'94 (National Association of Broadcasters) Convention, ESE introduced the ES-185, our first GPS Master Clock. (The GPS was later declared to be at "Full Operational Capability" in April of 1995). The ES-185, since upgraded to the ES-185E is complemented by at least a dozen other GPS products. In 1996, NENA (National Emergency Number Association) issued the Technical Reference NENA-04-002 for a Public Safety Answering Point (PSAP) Master Clock Standard. At the NENA'97 Conference and Trade Show, ESE introduced the ES-911/GPS. The ES-911/GPS, designed to meet the specifications described in the NENA-04-002 Standard, has spearheaded ESE's commitment into the Public Safety Sector. Since day one, ESE has maintained the ability to customize products to meet a customer's specific requirement. As of our 45th anniversary in 2016, ESE has designed and built more than 2600 different "Specials." These Specials are sometimes a simple modification to an existing product while on many occasions require that a brand new unit be designed from scratch. Today, ESE's line of products consists of eleven product "families" including "Master Clocks Systems", "9-1-1 Products", "Clocks and Timers", "Distribution Amplifiers", "SMPTE Time Code" Products, "Audio" Products, "Video" Products, "Time Control" Products, "IRIG Time Code" Products, "Airborne" Products and Time Code "Converters and Translators". Products within these families are usually available with one or more "Options" allowing semi-custom units to be built for many unique applications. These product families have evolved primarily because of customer input and ESE's "flexibility". Listening to the needs and concerns of our customers has proven to be one of the most important factors in ESE's continued growth. Equally responsible is our commitment to our employees. Since 1971 our philosophy of promoting from within and practicing a flexible and understanding style of management has provided continuous opportunity for all aspects of employee growth.